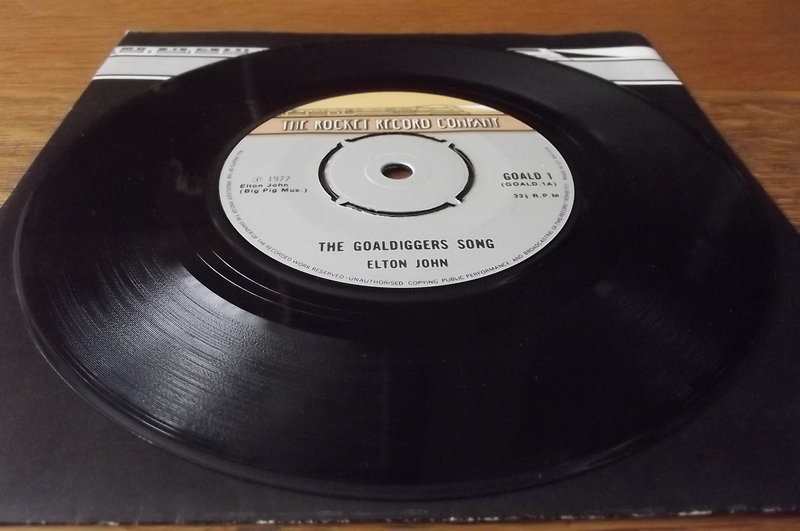 Ultra rare 7″ single written and performed by Elton John and released on his Rocket label in 1977 to raise funds for the ‘Goaldiggers’ football charity. 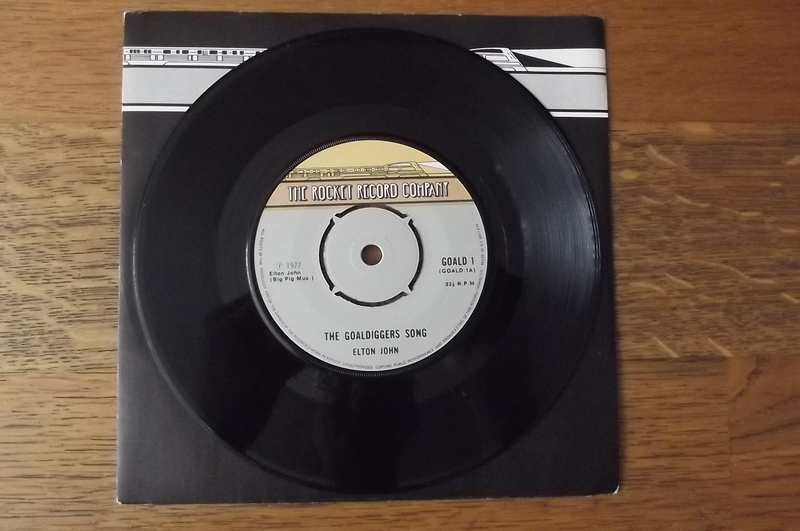 The B side is a long 12 minute track playing at 33.3 RPM and features the voices of Elton, Brian Moore, Jimmy Hill and Eric Morecambe in a comedy sketch explaining about the charity. 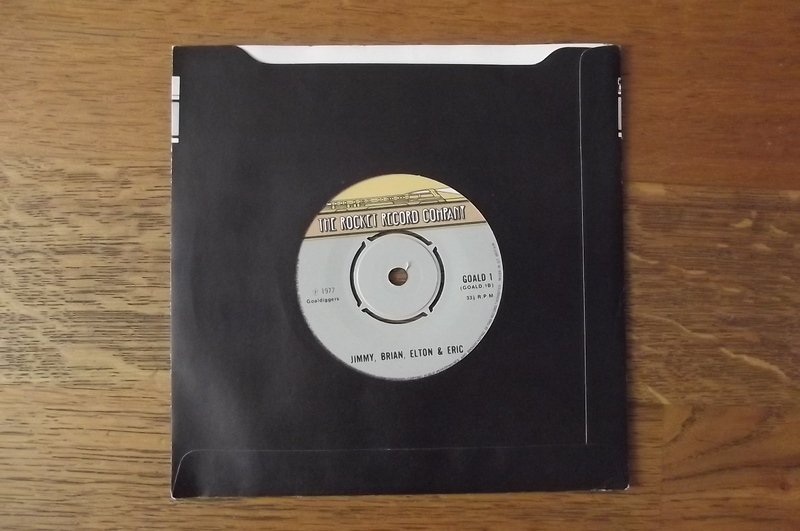 Only 500 copies were ever pressed and the master tapes were destroyed afterwards. The track has never been released since. 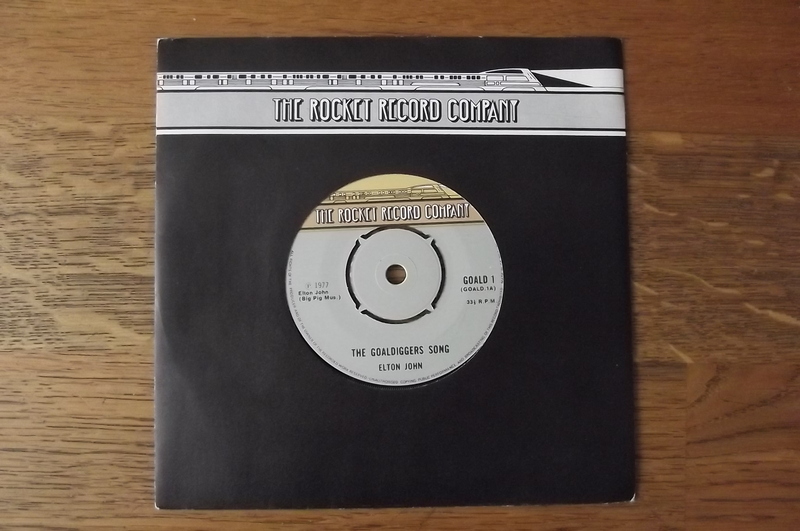 The record is in mint condition still unplayed since the day it was pressed.